This is nice! Towels that are printed entirely full colour. There is no room for your brand to remain unnoticed. 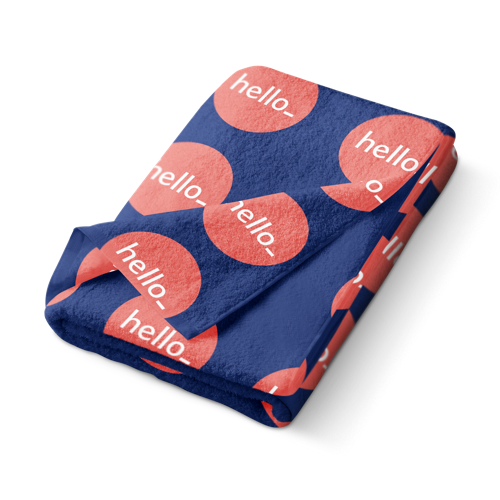 Although there is someone laying on your towel, there is always a place on the surface of the towel to promote your brand. Choose between one of our popular sizes and quantities. All our quantities are priced well! 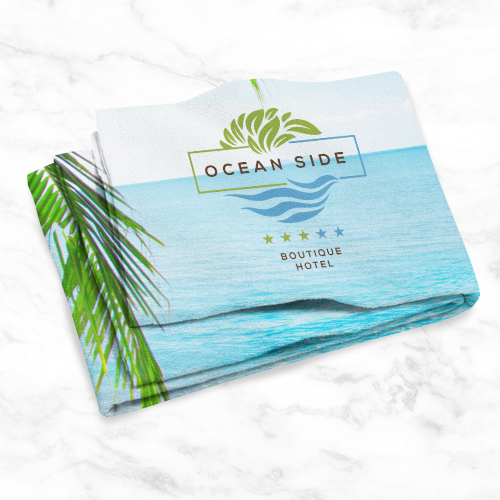 NOTE: The base of the towel is always white and the towel will be printed single sided. 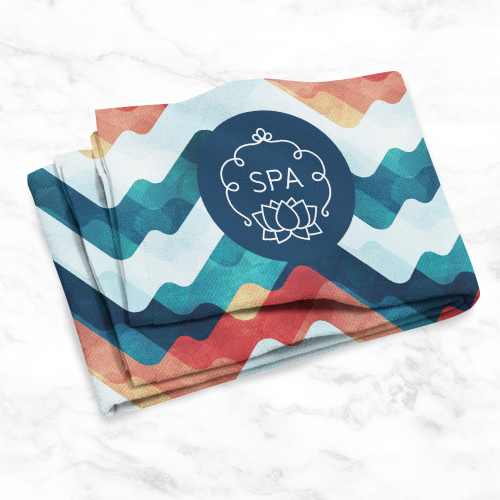 These towels have a quality fabric, 55% cotton & 45% polyester. Which Towels (Entirely Full Colour) are suitable for women and which for men? Prepare your files using CMYK as the color mode, not RGB. To allow leeway for cutting differences in production, always add a bleed of 30 mm around all edges of your design. Make sure colours, background pictures and layouts extend into the bleed area so as to avoid leaving white lines as a result of cutting tolerances. You can submit your file with crop marks and printer's marks. Towels (Entirely Full Colour) are clothing made from textile material and are the best way to stand out. You can print your Towels (Entirely Full Colour) with the coolest designs. The Towels (Entirely Full Colour) can be used as promotional items, as working clothes or as teamwear. For the delivery of your towels (entirely full colour) we use multiple carriers. Because of the highest reliability, in most cases we use UPS or DPD. The Towels (Entirely Full Colour) are suitable for men and women. You can choose between male and female models. 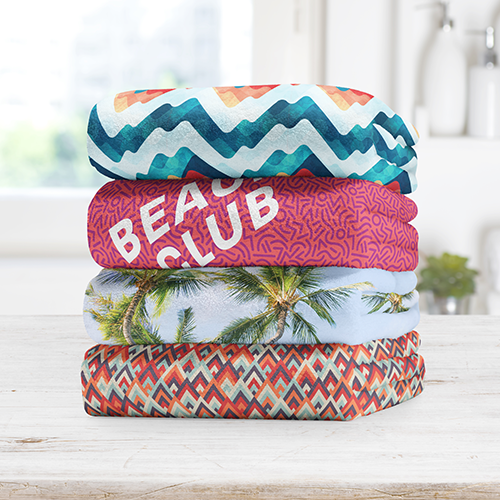 On what positions can I print my Towels (Entirely Full Colour)? It is possible to print your Towels (Entirely Full Colour) on three positions, chest, front, back or a combinations of those. We need a file for every position that indicates which have to be printed on what position. The print will last at least 75 washes. After 75 washes the print may begin to fade in colour. Printing Towels (Entirely Full Colour) is different from printing paper, not a single Towels (Entirely Full Colour) is the same. It can be that there is a small deviation in the position of the print. This is minimal and often not visible when the Towels (Entirely Full Colour) are worn.